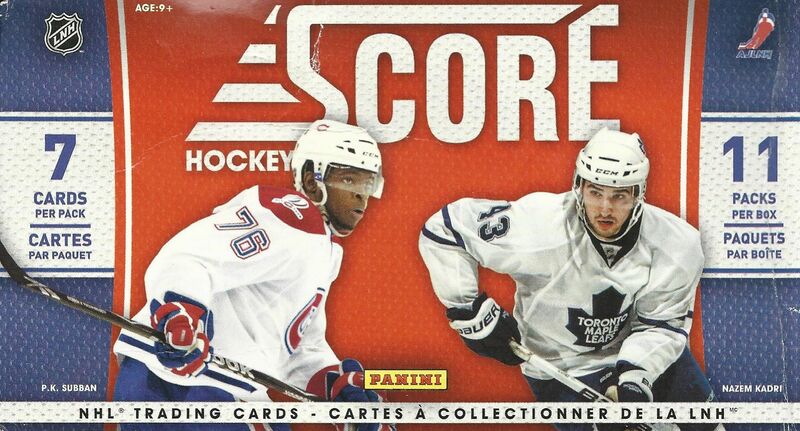 I was inspired to open up a blaster of 10/11 Score this week because of PK Subban's return to Montreal this past week. It was a pretty emotional time for him. I had a small PC of his back in 2010 and was always hoping to get his rookie whenever I bought a blaster of Score that year. This blaster was very inexpensive. They can be found for less than half of their original, already pretty cheap, price. While cheap, there really isn't anything you can really find in the blasters that will be too valuable. The best you can hope for are some fun inserts and cards to enjoy. And Score is definitely a product that you can find enjoyment out of. The cards are very sweet looking retro designs. If you were a collector in the 90's like me, a lot of these looks will bring back some good memories. If you are extremely lucky, I believe that you can find autographs in these packs. I've never gotten one, but boy would it be awesome to pull a hit. Sadly, Score didn't have jersey or patch cards in the product. But hey, autographs are better anyways! Wow, this was a great break for me. Not only did I get a bunch of sweet insert cards that I enjoyed finding, I also got the one rookie card that I was seeking. It was really a perfect break for the moment. Each pack had a glossy card in it, and I felt I did well with the names coming out. With a set as big as this, it can be difficult to pull out decent players. One card I really didn't expect to get was the 20th Anniversary parallel insert. It was certainly a good little surprise. Sure, it's not worth much, but it was a little thrill to get one out of a blaster. Gustavsson was a pretty decent rookie to pull back in 2010. He was highly touted, but sadly never really panned out. I almost totally forgot about him, but this card helped me remember. 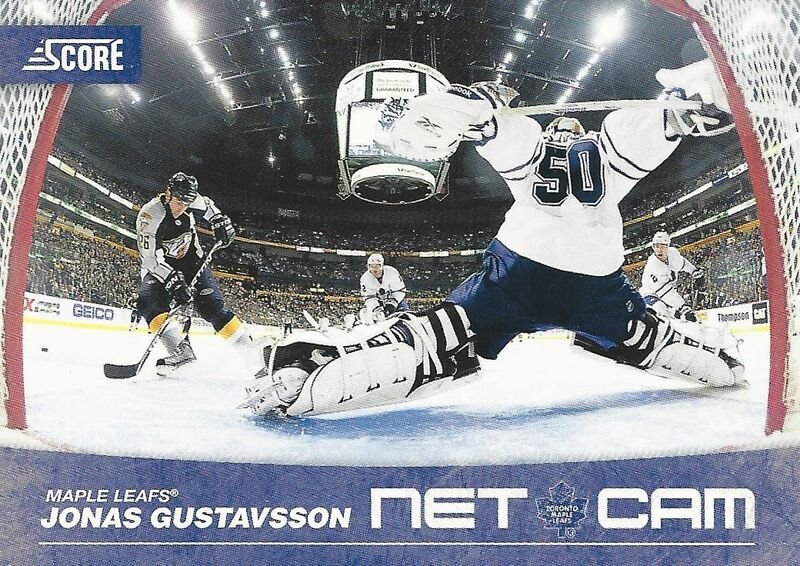 I love the action going on here in this Net Cam insert. 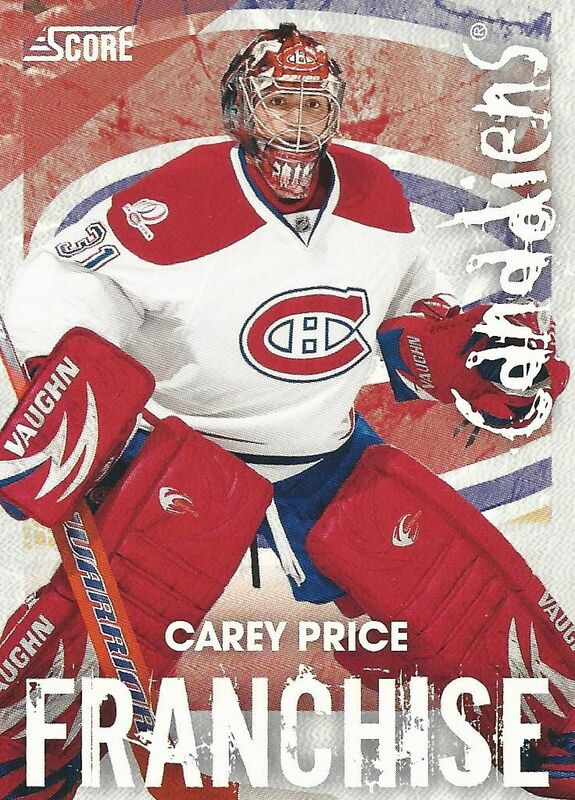 A goalie that did pan out was Carey Price. He's definitely been the franchise player for the Habs for a while now. If you've followed my Retail Review series, you'll know that I really like the Franchise insert set. These were big in the 90's and I enjoy pulling them. 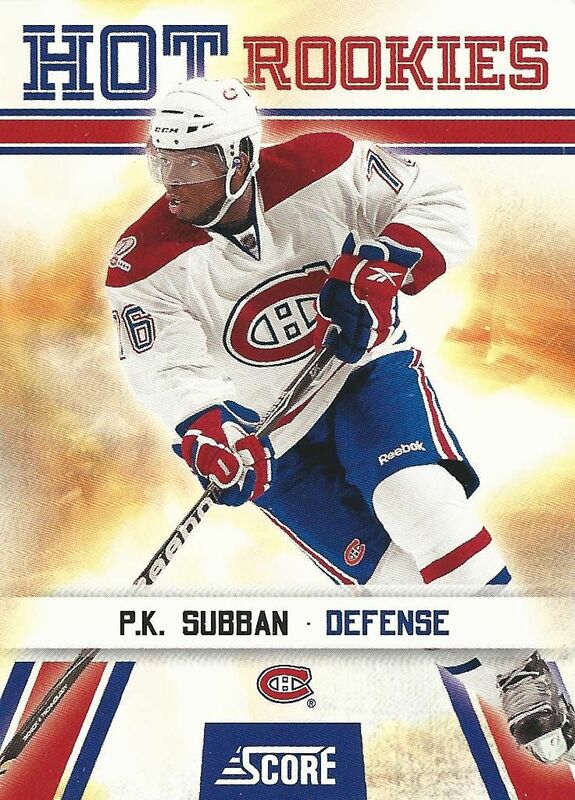 Last card of the break was this amazing glossy parallel of PK Subban's rookie card. This is my favorite and most wanted card out of the set and I can't believe I got it today! The card looks really good and holds a special place for me! At under four bucks Score really brings some inexpensive fun. I'd highly recommend it to any young or new collectors. I'd also tell collectors who used to collect in the 90's to check it out. I'm sure they'd get a kick out of the product. Even if I didn't get the Subban card, I would have still really liked this break and getting the cards out of the blaster. Score does great in its simplicity and purity. Good stuff right here! Let me know what you thought of my blaster in the comment section below. Have you ever pulled anything good out of one of these? I'd love to hear about it.